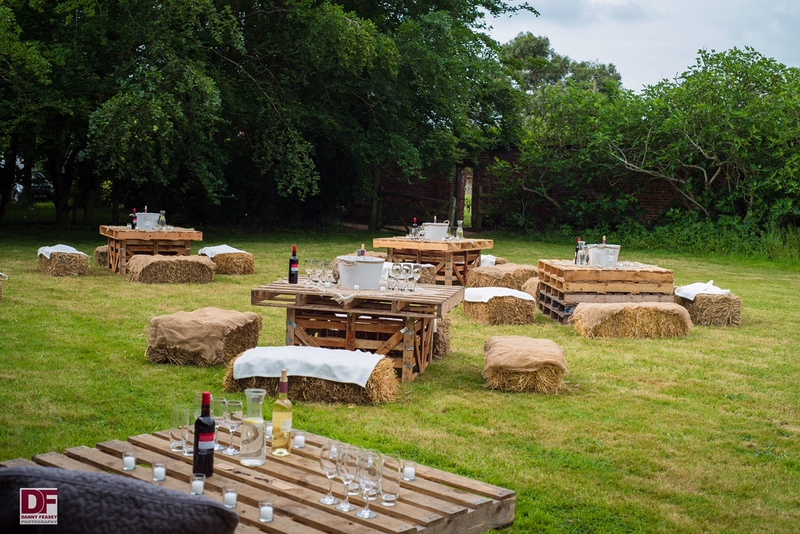 It’s probably one of my most unusual venues but the setting of Stanlake Park in Twyford made for a fabulous Berkshire vineyard wedding in summer 2018 with some wonderful rustic features. 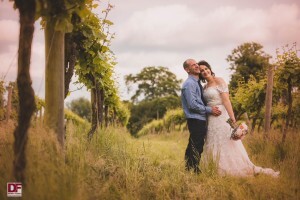 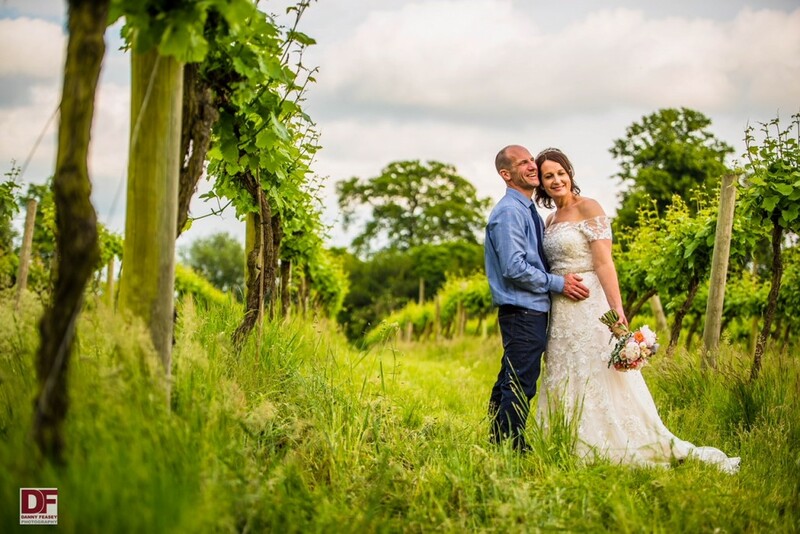 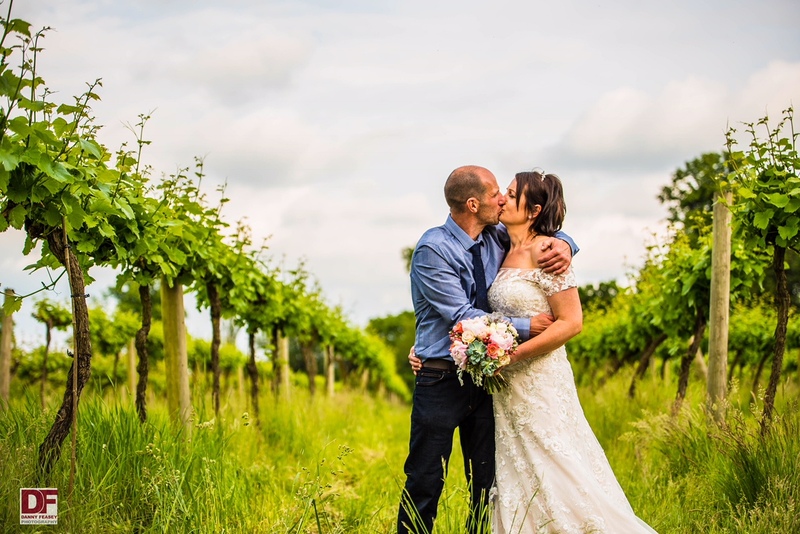 Marie and Neil picked this hidden gem for their special day and it’s easy to see why they fell in love with it and why they wanted to tie the knot in this glorious vineyard. 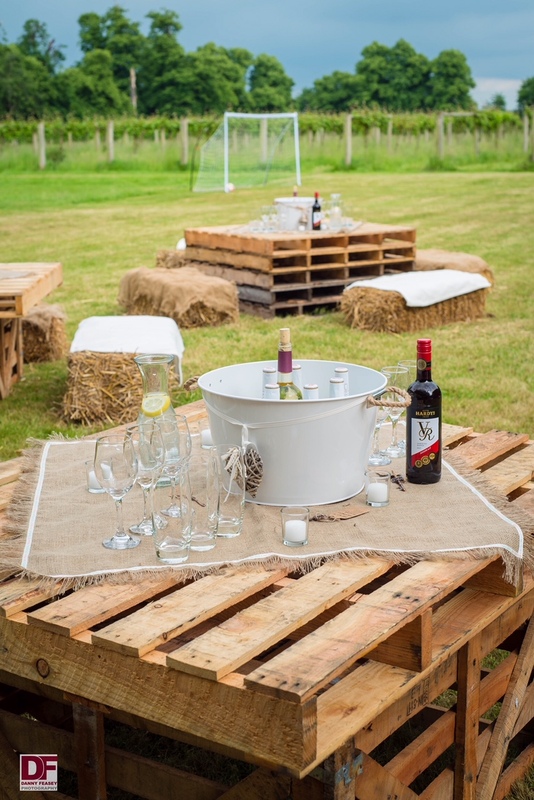 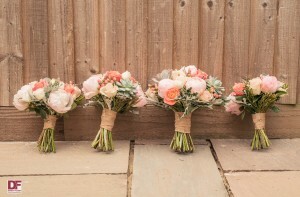 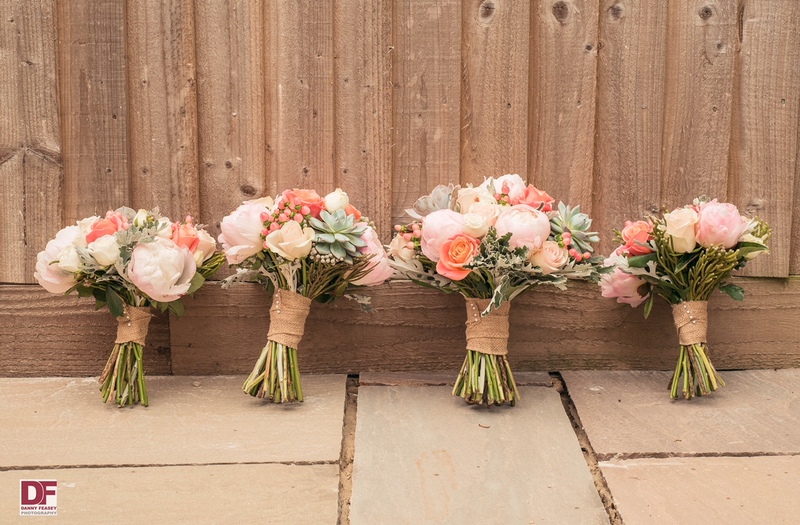 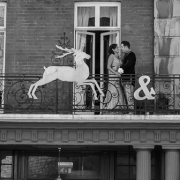 It’s beautifully British in style and oozes country chic – the perfect place for a summer wedding. The weather held out for us so we were able to get some colourful shots in the vineyard, with some moody skies for ambience, while guests were treated to some local wine and took part in lawn games. 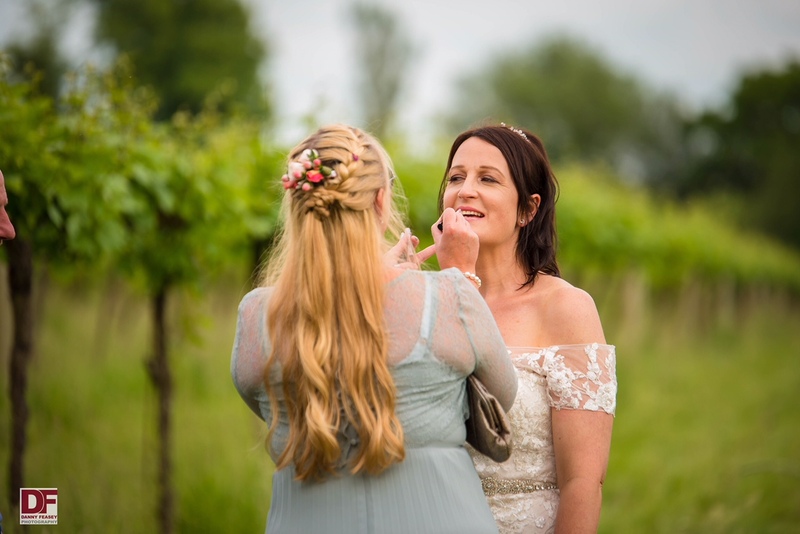 One of my favourites from the day is of Marie having her lipstick touched up in the middle of the vineyard – such a great juxtaposition of imagery. 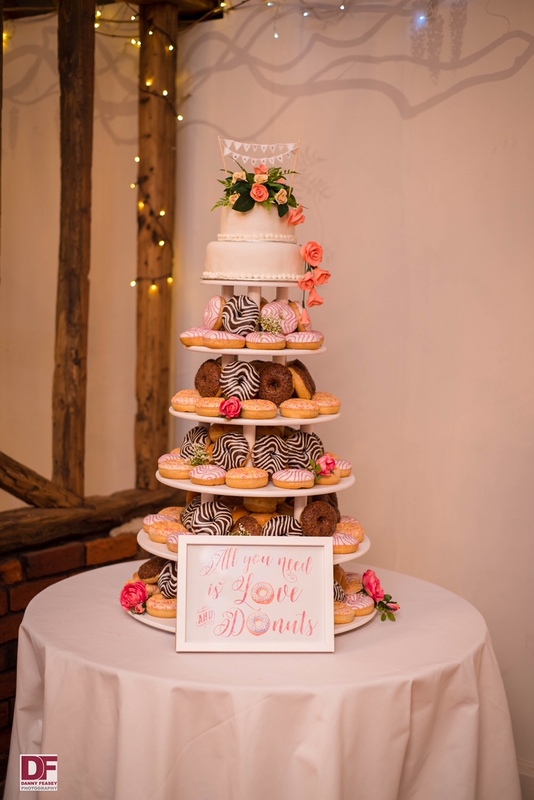 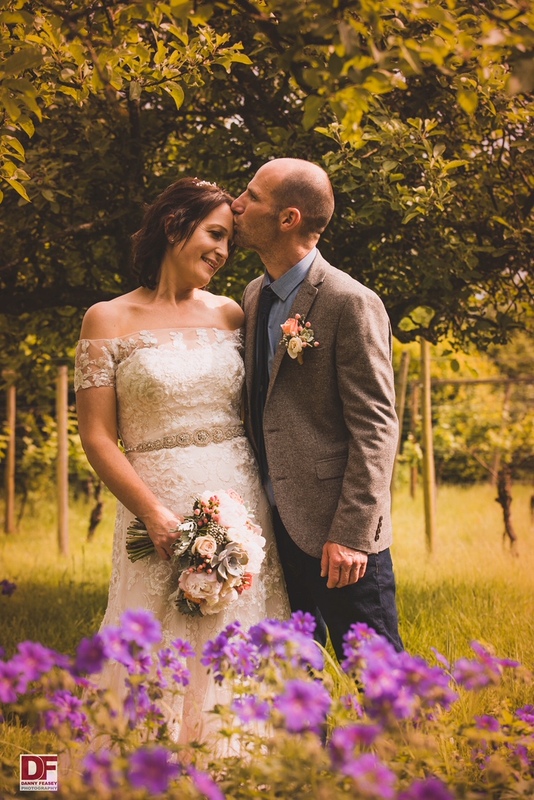 There were some lovely little touches throughout the day – it’s definitely the only wedding I’ve been to professionally and personally (and that’s a lot of weddings!) 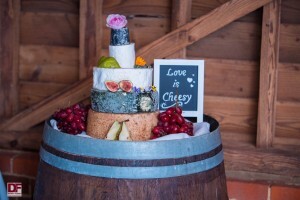 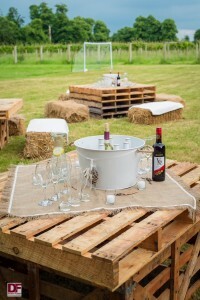 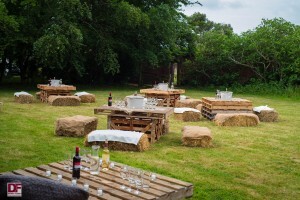 where they actually served the wedding breakfast on hay bales – such a charming idea. 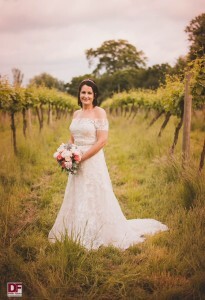 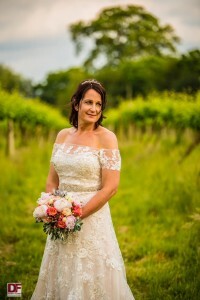 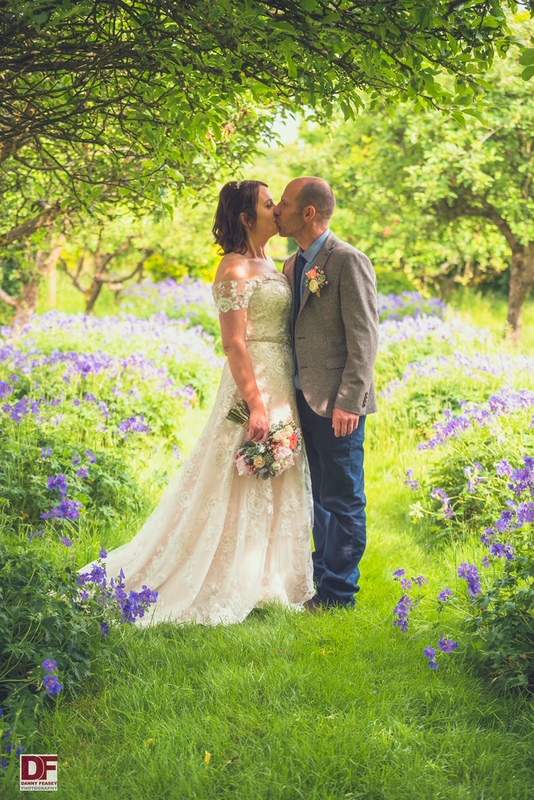 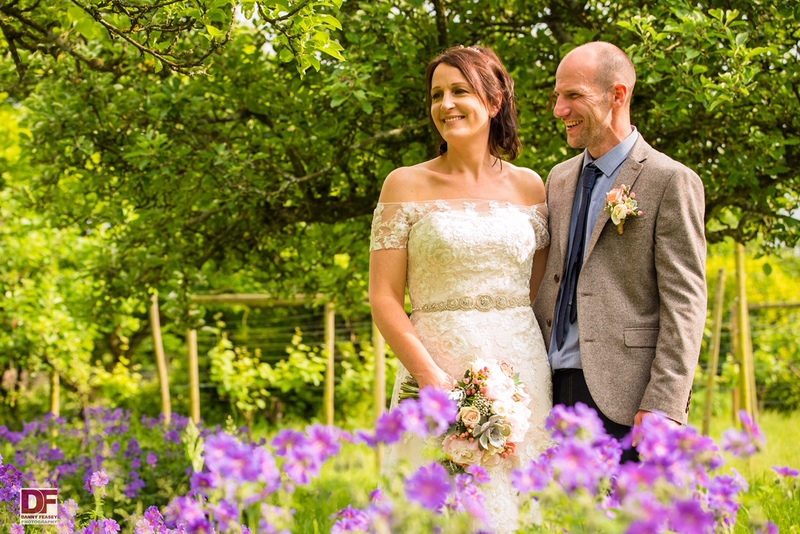 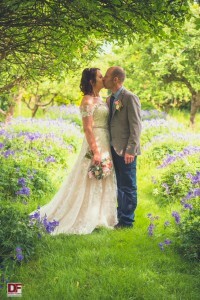 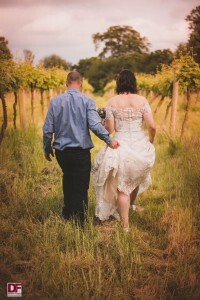 Marie’s dress was an off the shoulder lace affair, which looked stunning against the grassy, rural and ‘outdoorsy’ vibe of the vineyard. 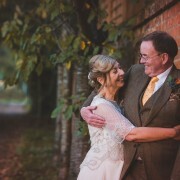 Meanwhile, Neil was slightly more casual in his blue shirt and trousers with grey jacket and blue tie – the look worked well and complemented Marie’s bridal chic. 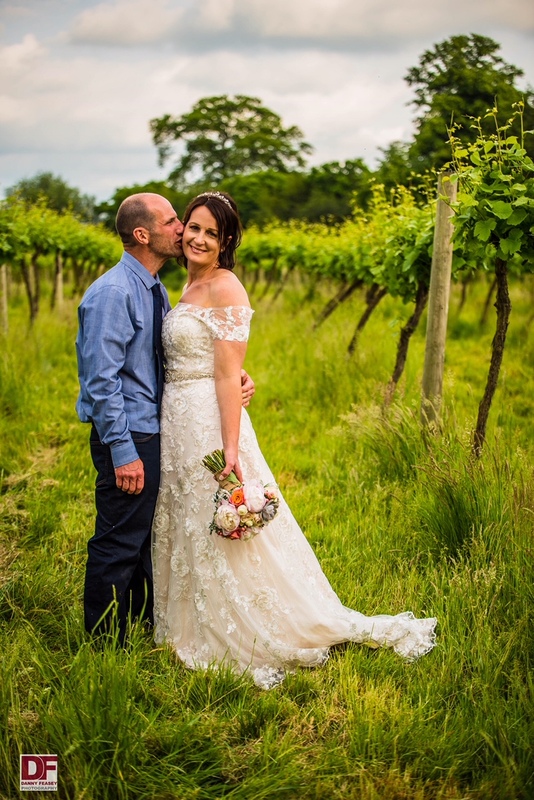 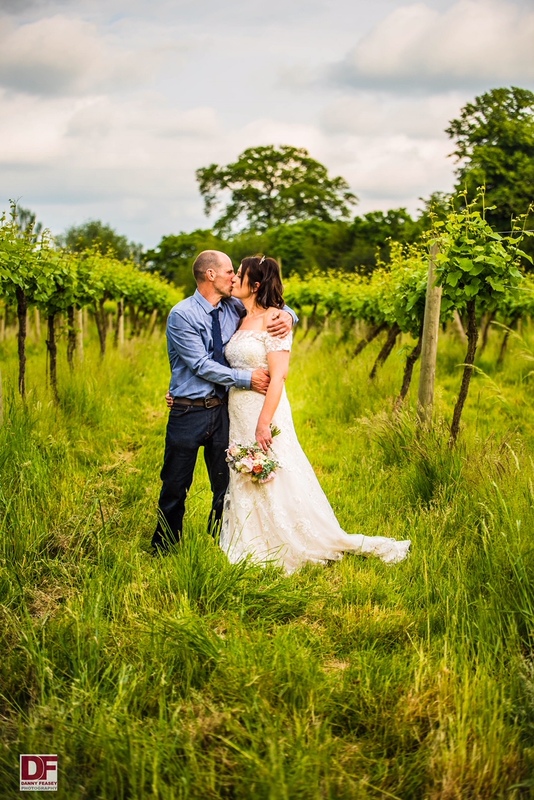 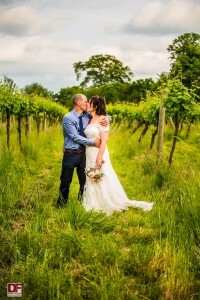 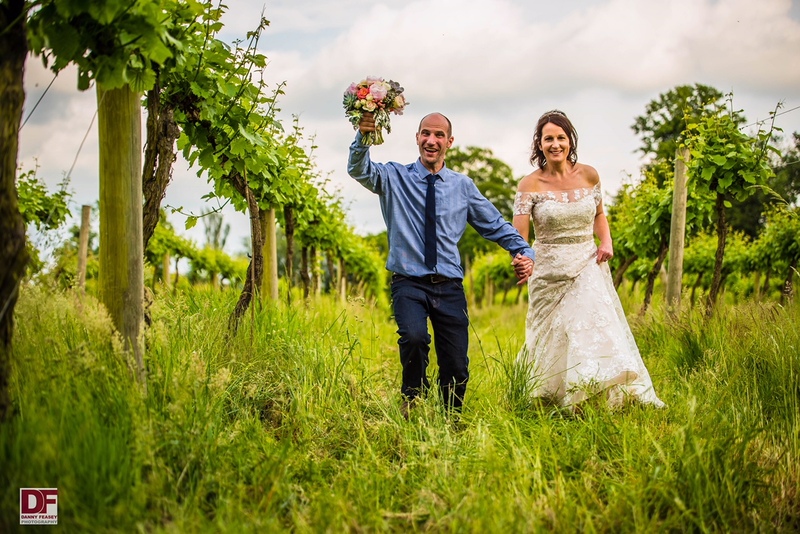 For any Berkshire brides and grooms out there thinking of slightly unusual venues for their big day, I would highly recommend a vineyard wedding and, in particular, I’d definitely say to go and check out Stanlake Park. It’s stunning! 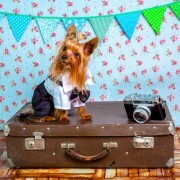 My friend’s dog has a great camera….